This is one of the longer ongoing story lines I’ve followed on this blog. The red and blue stripes on Metro’s buses and trains soon could be joined by advertisements for Red Lobster and Blue Bell, a nod to the agency’s efforts to seek out new sources of revenue. Transit officials are considering changes to Metropolitan Transit Authority policies that would allow advertising inside and outside buses and trains, at bus stops and stations, parking garages and perhaps even the station names. “We’re making our way through it, forming a plan, and then we’ll go from there,” Metro CEO Tom Lambert said, acknowledging he expects staff to recommend paid ads on and in the agency’s buses and trains. Transit officials initially were poised to approve some of the changes this month, but held back in favor of more discussion. Authority board members and observers said several matters would need to be resolved before any changes can be made, notably the need for clear rules of what Metro will and will not accept and how large ads can be. “Part of my concern is not so much doing it, but when you mix a bunch of ads it looks awful,” Metro board member Jim Robinson said. Metro Chairwoman Carrin Patman said officials plan to consider an ad policy as early as next month. If approved, agency staff can begin to solicit proposals from firms interested in overseeing the advertising — essentially selling the space — and then dividing the revenue between the company and Metro. Metro does allow certain sponsorships and wraps its own buses and trains for internal marketing efforts. The changes under consideration would open up many avenues of for ads. “Basically, inside and outside all our assets,” said Debbie Sechler, Metro’s executive vice-president for administration. Ads could accompany the log-on if Metro offered Wi-Fi, or even the agency’s website, where many riders go for schedule and customer service information. The goal, Sechler said, would be to use the revenue to improve the system, primarily in enhancements for riders. Patman said officials are open to ads “in light of our need to look at all conceivable funding sources” as Metro looks to expand bus and rail offerings in city. Because Metro excludes commercial advertising, companies have been reluctant to discuss how much revenue the system could expect, Sechler said. At a meeting Wednesday, she estimated all types of advertising could generate in excess of $10 million a year, though it is likely an advertising firm handling the marketing of Metro’s buses, trains and shelters would take a portion of that. Metro’s yearly operating budget is around $700 million. The decision board members face is whether the financial gain is worth whatever sacrifice could come with paid ads. “My concern is the difference between what we bring in and what we are obligated to, that may not be enough to justify changing the look of our brand,” board member Lex Frieden said. 1. Basically nobody objects to ads inside buses and rail cars, so I have no idea why we aren’t already doing those. 2. People do have opinions about ads on the outside of buses and trains, and I’m fine with everyone who has an opinion getting some input on what the parameters will be for external ads – size, number, placement, what have you. 3. Metro should be very clear about what kind of ads it will allow and reject. There are always controversies whenever there are provocative ads being bought on buses and trains. Having clear and unambiguous standards will help buffer against some of that. 4. The amount of money Metro can make from ads is relatively small compared to its operating budget, but still millions of dollars a year. As the story notes, this can be used to pay for free-fare promotional days, and (my preference) it can be used towards the installation of bus shelters and the repair and improvement of sidewalks around bus stops. Imagine how much of this could have already been done if Metro had taken action to allow ads back in 2008, or 2010, or 2012, or even 2015. 5. In short, do it. Seriously, why are we still talking about this? Who wants to order some groceries, in certain selected ZIP codes? Kroger, the nation’s largest grocer, has launched a self-driving grocery delivery service in Houston, the latest salvo in a hyper-competitive grocery market that has supermarket chains investing heavily in new technology to win over online shoppers. Company officials on Tuesday showcased the first of dozens of autonomous delivery vehicles planned for Houston: Toyota Priuses outfitted with cameras, sensors and self-driving computer software. Shoppers at Kroger’s Meyerland store who live in ZIP codes 77401 and 77096 can order groceries through the company’s website and have their purchases pull up in a self-driven Prius. The Cincinnati-based grocer plans to bring the autonomous delivery service to its Buffalo Speedway store later this year, with plans to ultimately expand the program citywide. “We are creating a seamless shopping experience for our customers so they can get anything, anytime and anywhere,” said Marlene Stewart, Kroger’s Houston division president. In January 2018, Kroger partnered with Nuro, a Mountain View, Calif.-based self-driving delivery startup, to develop a grocery delivery service. Nuro, founded in 2016 by a pair of Google veterans, has raised $1 billion from investors, including Silicon Valley venture capital firm Greylock Partners and Japanese holding conglomerate SoftBank, to make autonomous vehicle deliveries affordable for the mass consumer. “We believe this technology isn’t just for an elite group of people, but for everybody,” said Dan Mitchell, Nuro’s head of product operations and community engagement. The Kroger-Nuro partnership launched a pilot program in Scottsdale, Ariz., in August. Over the next seven months, the companies made more than 2,000 deliveries to customers living in one ZIP code around a Fry’s Market, a Kroger subsidiary. Mitchell said the autonomous vehicles were well-received in Arizona, with shoppers reveling in novelty of self-driving cars by taking photos and sharing them on social media. Deliveries cost $5.95, which is less expensive than Kroger’s $11.95 delivery service through Shipt, whose human couriers bring groceries to the door. Customers using the autonomous vehicle delivery service will have to pick up their groceries from the vehicle curbside, notified of their arrival via text message. Nuro’s autonomous vehicles will have a safety operator at the driver’s seat who can take control in case of emergencies, as well as a co-pilot monitoring the technology. The vehicles had no accidents during its Arizona pilot program, Mitchell said. Quincy Allen, district engineer for the Texas Department of Transportation, said governmental agencies will closely watch Kroger’s autonomous delivery program as it expands. “Safety remains our top priority, and we expect Kroger and Nuro to meet our safety standards,” Allen said. See here for the background. I presume one reason for the difference in price is that the human couriers will carry the groceries to you, while with the autonomous car you have to schlep them yourself. I’d be interested to see if there’s a sufficient market for both options going forward. Those of you in ZIP codes 77005 and 77025 who order from the Kroger at 5150 Buffalo Speedway will get the chance to try this in a few months. Do you get groceries delivered, and if so do you find this appealing? Leave a comment and let us know. Metropolitan Transit Authority board members on Thursday agreed to plan on one light rail line to Hobby Airport, as opposed to the two initially proposed as part of the agency’s long-term transportation plan. The first draft of the plan, dubbed Metro Moving Forward, included extensions of both the Purple Line and Green Line to Hobby. The proposal had the Purple coming from southeast Houston near MacGregor Park and the Green coming from near Gus Wortham Golf Course. The projects represented roughly $1.8 billion of the $7.5 billion Metropolitan Transit Authority plans to spend on major projects and improvements over the next 40 years. Both of the light rail extensions enjoy support from local officials and residents along the planned routes to Hobby, but the plan of two routes to the same airport also drew criticism. Each of the routes also had skeptics, who noted the Purple Line would travel a loosely developed industrial area for part of the trip, while the Green Line’s straightest path – along Broadway – would anger some residents and force Metro to rebuild a street that the city spent money sprucing up for the Super Bowl in 2017. Metro CEO Tom Lambert said staff will study the options and return to the board with a suggestion of which line to advance. Based on board comments, however, the Green Line had an edge. Terri Morales noted after driving the Purple Line’s proposed route, she felt there were many more clusters along the Green Line that made sense as potential stations and places where people would want to go. Metro chairwoman Carrin Patman agreed, noting the economic potential of an East End line. “I do not think the Purple route as currently designed to Hobby makes sense,” Patman said. The primary selling point of the Purple Line is it would directly connect the University of Houston and Texas Southern University to the airport. That potential left the Purple Line some life, in one scenario officials will examine. At the pressing of board member Sanjay Ramabhadran, Lambert said officials will also study if there is an intersection point where it makes sense to extend the Green and Purple light rail lines, then have one of the routes continue the trip to Hobby. That way, both neighborhoods have easier access, without the higher cost of two distinct rail lines. “I want to see if we have that flexibility to make something work,” Ramabhadran said. Officials have about three months to work out the details of a final plan, with the revised rail proposal, and then seek more public input. The long-range plan is tentatively expected to be approved by Metro’s board on July 29. The latest Metro can place an item on the November ballot is Aug. 19. See here for the previous update. There’s more ground covered in the story, so go read the rest of it. I like the idea of finding a way to join the Green and Purple lines on the way to Hobby so that both can ultimately go there. Maybe that means extending the Purple line to Broadway to join it up with the extended Green line. Seems like the simplest solution, though whether it would be the best, or even a workable one, is one for Metro to figure out. We’ll know soon enough. Coming soon to a freeway near you. Self-driving 18-wheelers will soon cruise next to you down Interstate 10 and other major Texas freeways. TuSimple, a California-based autonomous truck start-up, has been mapping routes and plans to haul commercial loads from Arizona to San Antonio, Houston and other Texas cities. The company will likely make a major announcement next month, Chief Product Officer Chuck Price told me. Safety drivers will initially sit behind the wheel, but Price hopes to take them out by the end of next year. The age of autonomy has arrived. “We’re probably going to spend $1 billion to make this happen, and we have investors that are committed to deliver the funds over time,” he said before showing off his technology at the recent SXSW Interactive Conference in Austin. Price’s confidence comes in stark contrast to most of the news about self-driving technology over the past year. Uber, Waymo and independent analysts have adopted a more pessimistic tone about how soon autonomous passenger cars will hit the road. The trucking business, though, is different. Companies dispatch thousands of loads a day along the same fixed routes, from one distribution center to another. Big trucks spend most of their time on the highway, not negotiating tight urban intersections. That makes training the algorithms easier. Most importantly, the trucking industry is motivated. The age of the average driver keeps rising and finding new ones willing to spend lonely nights on the road is difficult. The company plans to grow its fleet to 50 trucks by June to test its software. “By the time we get to the end of 2020, we’re going to have tens of millions of miles that are proving the system out on fixed runs from Arizona all the way down to Houston,” Price said. Here’s a couple of stories about the company, which I’d not heard of before. I actually think they’ll be fine for the most part on the freeways – they better be, that’s for sure – but color me skeptical about how these things will handle once they’re on city streets. You can take the company’s optimism however you like, I think those safety drivers will be necessary for longer than they think they will. And now that I know these trucks exist, I’ll be on the lookout for them while I’m driving on I-10. I’d love to know what we learned from this. The city of Frisco announced today that the autonomous vehicle pilot is ending. When it launched in late July, it became the first self-driving car service on public roads in Texas. The approximately 10,000 people who work in Hall Park, a large office campus in the suburb, could request a free ride in an app. The vans drove them a short distance to nearby shops and restaurants. Nearly 5,000 unique riders used the service during the pilot program, according to the city of Frisco. Drive.ai continues to operate another autonomous vehicle pilot in Arlington. The free service, which is available Monday to Friday, is open to the public and available in the city’s entertainment district. Frisco Mayor Jeff Cheney did not say why the city decided to end the service rather than expand it. The city is encouraging current riders “to explore and utilize other modes of transportation after the conclusion of the pilot program,” he said in a prepared statement. See here and here for the background. Do we have any idea how many riders per day used this service? Five thousand “unique” riders sounds decent, but not if 4,900 of them only ever used the service once. There’s a lot of talk about driverless cars as an enhancement or competitor to mass transit. Well, transit is measured in ridership, so let’s hear how Drive.ai did on that score. There are also numerous similar pilots coming, in Texas and elsewhere. They sound great, but until we see some data we can’t begin to evaluate their potential. I sure hope Frisco and Arlington give us the goods. Some local shoppers soon could see their produce pull up in a Prius in one of the first forays into autonomous vehicles in the Houston area, a move observers said is sure to spur more robot deliveries in the region. Following its launch in suburban Phoenix, California-based robotics company Nuro will debut automated deliveries at Kroger supermarkets on Buffalo Speedway and South Post Oak, with each store serving two zip codes. Officials did not specify an exact date for deliveries to start, only that the vehicles are in place and operation will start before summer. “We want to learn as much as possible when we are out there,” said Dave Ferguson, co-founder of Nuro. The zip codes covered will be 77401 and 77096 at the South Post Oak store, and 77005 and 77025 from the Buffalo Speedway location. Deliveries will cost a flat fee of $5.95 regardless of delivery size or value, said Matt Thompson, vice president of digital business for Kroger. In Phoenix, delivery is to one zip code around a Fry’s market, a Kroger subsidiary. “We are really encouraged about the repeat rate we are seeing from the Phoenix area,” Thompson said. As Nuro did in Phoenix, deliveries will begin using converted Toyota Prius sedans. Customers will order their groceries online via Kroger and choose delivery instead of pickup. The store, working with Nuro, will load the vehicle and notify the buyer the delivery is on its way. Dispatchers hired by Nuro will monitor the trip from an office in Houston. Eventually, the sedans will be replaced by Nuro’s own all-electric vehicle, the R1, which is built especially for deliveries. The vehicle, with a top speed of 25 mph, is capable of holding six grocery bags in a compartment, with two compartments per vehicle. The company is working on a second generation vehicle capable of holding ten full grocery bags in each compartment, with refrigeration built into the electric vehicle. As the story notes, using autonomous cars for deliveries rather than for transporting passengers might be an easier path to optimizing the service and getting widespread acceptance, since deliveries are less time-sensitive and the ride experience is irrelevant. This would be the first implementation of autonomous vehicles in Houston, as Metro’s planned TSU shuttle has been delayed. Multiple cities in Texas have been investigating or piloting autonomous cars since the Lege passed a law in 2017 allowing for it. At this point, there have been a lot of tests or announcements of tests, but I haven’t seen any reporting on how successful they’ve been as yet. We’ll see how this one goes. Would you use a service like this? What’s wrong with the I-45 expansion plan? I-45 will wreck your bayou parks. I-45 will destroy wildlife habitat. I-45 will make flooding worse. I-45will impede neighborhood connectivity and access. I-45 will reduce city revenues. I-45’s bike facilities are a cruel joke. I-45’s caps are not likely to succeed. I-45 is so much money. Other than that, though, I’m sure it’s fine. Chron writer Allyn West digs a little deeper into that last point. The Texas Department of Transportation, too, is planning to spend $7 billion (and maybe more than that) to rebuild about 24 miles of freeways. The project will reshape roads between Midtown and Beltway 8, some of the most congested stretches in Texas, by merging Interstate 45 with Interstate 69 and rerouting them together northwest around downtown. Unlike with those greenways, flood projects or transit plans, TxDOT never had to ask permission from voters. Because TxDOT doesn’t have to do that, its massive projects often ignore the reality of people on the ground — the thousands of Houstonians whose neighborhoods will be impacted both directly and indirectly as a result of the I-45 expansion. It should be noted that the city, the county, and Metro were and will be asking voters to authorize borrowing the money needed for those projects. Had they been funded out of their operating budgets, no vote would have been needed. The point West is making is that this makes the politics of these projects very different. TxDOT starts out with the assumption that it can do whatever it wants, as long as it goes through the regulatory approval process. TxDOT is required to solicit public feedback, and they do incorporate that into their designs, but it’s a lot harder to drum up public opposition and basically impossible to kill whatever it is they’re working on. That’s the nature of the system. It’s worth pausing for a moment and thinking about how the system might be different if, say, TxDOT and Metro – and we may as well throw in HCTRA and the other toll road authorities around the state – had identical hurdles to clear in order to build anything. I don’t know what that might look like, but it’s fair to say it would be different. In the meantime, the final environmental impact statement for the I-45 project is now available on the project website. You have one last chance to give your feedback to TxDOT on it, so get moving before the 17th of March. Speck’s video will be available on the Kinder Institute YouTube channel, so go watch it when you can. State Representative Eddie Rodriguez filed a bill directing the Texas A&M Transportation Institute, in consultation with the Texas Department of Transportation, to conduct a study on the use of motor-assisted scooters. How motor-assisted scooters have been and may be integrated into the overall transportation system. 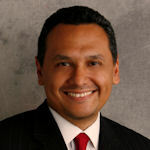 Rep. Rodriguez represents East Austin’s and Southeast Travis County’s District 51 in the Texas House of Representatives. He serves on the House Committees on Calendars, State Affairs and Ways & Means in the 86th Legislative Session. “The deployment of motor-assisted scooters for rental in Texas cities has the potential to reduce congestion and pollution by solving the ‘last mile’ problem and filling a vital role in the multimodal transportation systems of the future. 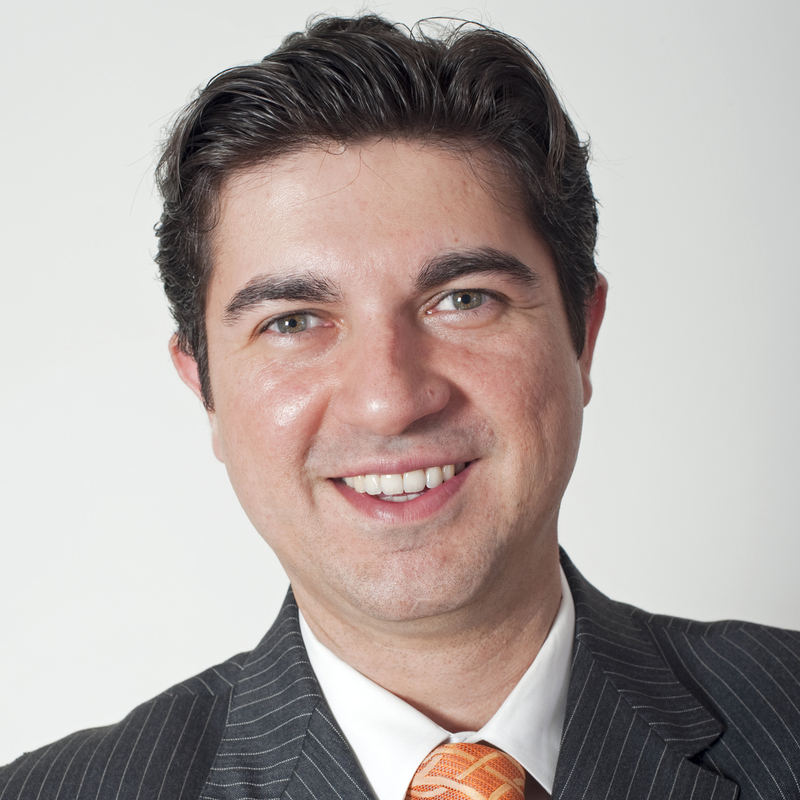 “This technology and the businesses pushing its adoption, however, are new to our communities. The abrupt, and, in some cases premature, deployment of scooters has revealed thorny issues that suggest the need for regulation. But without rigorous, objective data, it is unclear what combination of policies would best serve Texans and their local governments without stifling innovation. There’s already one study about scooter-related injuries going on, but nothing I am currently aware of about the other points Rep. Rodriguez raises. It’s been my assumption since the various venture capital-funded firms started scattering scooters around some cities that there will be action to legalize and regulate them at a state level, much as happened with the ridesharing companies. If this bill can allow us to have some objective data about scooters and their effects before we dive into that process, that would be nice. To be done in Austin. This story references the earlier study that was done in California, whose methodology was slightly different. The city of Austin just witnessed its first fatality involving a scooter, which would make it the third nationally. I look forward to seeing the results, and even more the recommendations for how cities should try to make these things safer to operate. This is about as bittersweet as it gets. There are no plans to build light rail on Richmond, but for the first time in a long time there is nothing stopping Metro from asking for federal funds to help pay for it. The federal spending bill signed Friday by President Donald Trump, averting a government shutdown, lacks a provision in previous funding plans barring the Federal Transit Administration from funding any part of light rail on Richmond or Post Oak. He was defeated in November by Rep. Lizzie Fletcher, who said last month she aimed to be an advocate for transit. This is great, and it’s quite an achievement for Rep. Fletcher to get this done in only her second month in office. It’s just that in a more fair and just universe, we’d already have the Universities line built and would maybe be talking about extending it as part of the 2019 MetroNext referendum, while eagerly looking forward to the forthcoming Uptown BRT line as the completion of the original system. I know, it’s fashionable now to say that we should be wary about investing large sums of money into fixed infrastructure projects like this because driverless cars are coming and will solve all of our problems. My point is we could be celebrating the ten-year anniversary of this line – the Main Street line just turned 15 years old, in case you forgot to send it a birthday card – with millions of passengers having ridden it over that span. People often talk about how the time to have built rail in Houston was years ago. Well, we were on the verge of doing just that following the 2003 election, but politics, shortsightedness, NIMBYism, and the incompetence and mismanagement of the Metro CEO and Board following that election killed this key part of it off. I salute and thank Rep. Fletcher for keeping her word. I just mourn that it comes too late to deliver what had once been promised to us. Sometimes, consequences are good things. METRO will get more federal support for public transportation projects if Congresswoman Lizzie Fletcher has anything to say about it. 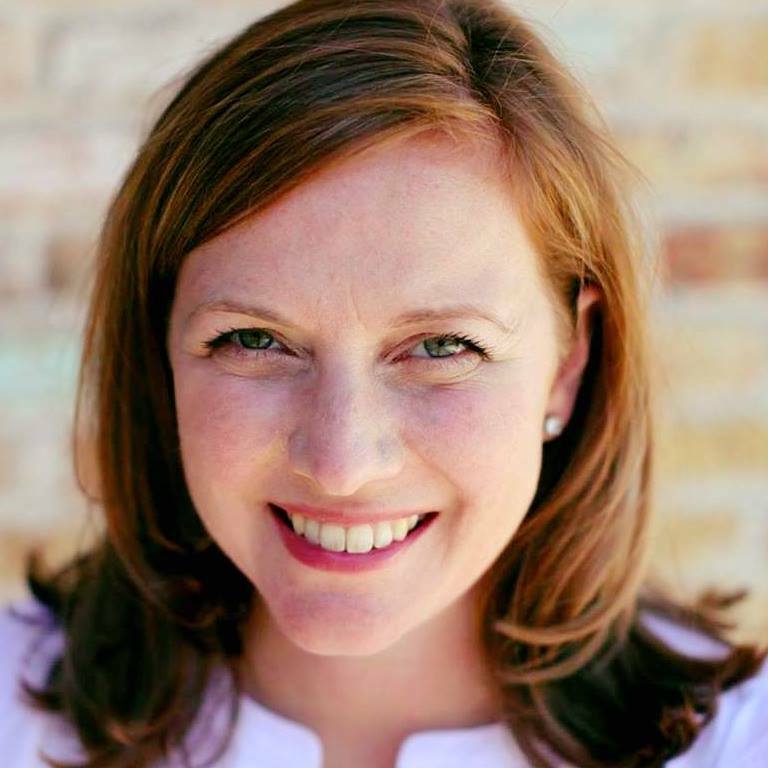 The freshman lawmaker wants to use her new seat on the House Transportation and Infrastructure Committee to back METRO’s Regional Transit Plan. Fletcher frequently attacked Congressman John Culberson during the 2018 campaign for blocking METRO’s efforts to build a light rail line along Richmond Avenue. She stopped short of endorsing the project herself on Houston Matters, but indicated she’ll follow METRO’s lead. The full interview with Rep. Fletcher is embedded in the story, so go give it a listen. Having her fight for funds for Metro doesn’t mean Metro will get them – we all know how challenging it is to get anything done these days. But having someone in Congress fighting for Metro instead of against it will surely help. Still not in Houston, but getting closer. By the end of January, Galveston Island will be crawling with Crab…Scooters. Ryan O’Neal of Galveston said he expects to officially launch his new business Crab Scooters come late January or early February. O’Neal said the scooters will provide visitors and residents with a low-cost, environmentally friendly form of transportation that hasn’t been offered to the island before. “The issue that comes with scooters is dockless ride sharing [and] that is not a sustainable model,” O’Neal said. 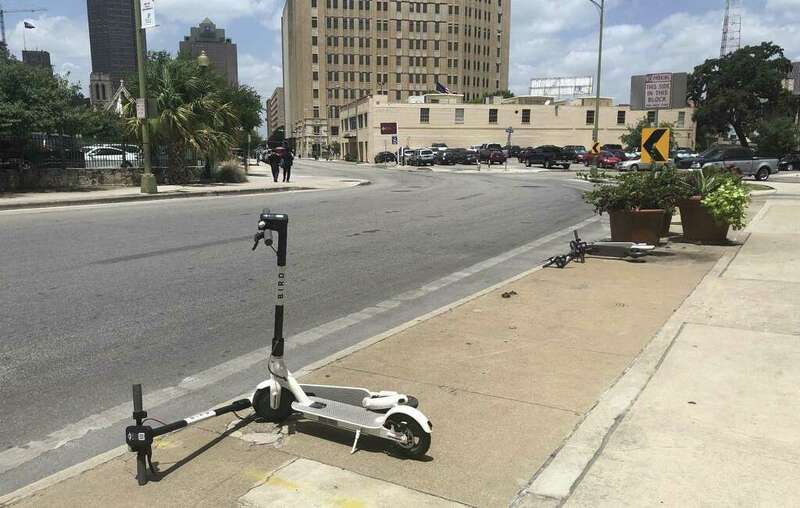 The dockless ride sharing model other scooter companies like Bird and Lime use can create an eyesore for cities when riders leave the scooters on sidewalks and in streets, or vandalize them. Scooter companies have fought with cities over ordinances to fix this problem in the past, but O’Neal said his company side sweeps the issue of dockless ride sharing with a new model he hopes to eventually bring to other markets. 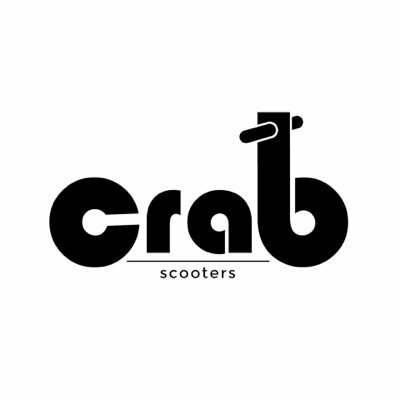 Similar to Uber or Lyft, Crab Scooters are delivered directly to the rider and then picked up once a rider is done travelling. Users must be 18 and up to ride and safety equipment and a 5 minute safety and traffic etiquette class are provided upon delivery. I like the idea of keeping scooters from cluttering up the sidewalks, but I wonder how viable this model is. Maybe it’ll work, I don’t know – I’m not the scootering type, so I can’t judge by my own level of interest. I also don’t see Galveston as being all that amenable to scooters as a means of transportation. Most of where you want to go on the island involves the main roads, none of which I’d want to travel via scooter. But again, maybe I’m wrong. I wish them luck, and we’ll see how this works. Harris County Sheriff Ed Gonzalez [last] Tuesday called on local law enforcement agencies to devote more resources to improving road safety and to create a new region-wide task force dedicated to reducing the Houston area’s alarming number of road fatalities. Gonzalez said past efforts have been too isolated, allowing problems to go unchecked despite individual efforts from local departments. The proposed task force would meet monthly. “Everybody is doing something, but we lacked a coordinated effort to tackle this in a sustainable way,” Gonzalez said at a summit on road safety that brought together law enforcement officials, engineers, medical professionals and other traffic-safety advocates. The formation of the task force follows a 2018 Houston Chronicle investigation, “Out of Control,” which found that the Houston region has the nation’s most dangerous roads. Harris County leads the nation in impaired driving, and the region has more than 600 fatal crashes a year, the Chronicle found. Gonzalez asked local departments to try to assign three employees to targeted traffic-enforcement initiatives every month for a year — focusing on areas with a high frequency of speeding or crashes; issuing more warnings to motorists driving dangerously; and trying to deter impaired driving. The impact of those efforts would be re-evaluated after a year, Gonzalez said. See here for some background. We really need to think of road safety as a public health issue. If you live in Houston for any length of time, you’ve either been involved in a serious collision or you know someone who has. We can only do so much about traffic, but we can definitely do more about the insane levels of speeding on the highways, and I say that as someone who usually takes highway speed limit signs as suggestions. Let’s check back in a year and see how this effort has gone. And of course, they’re coming to Austin. 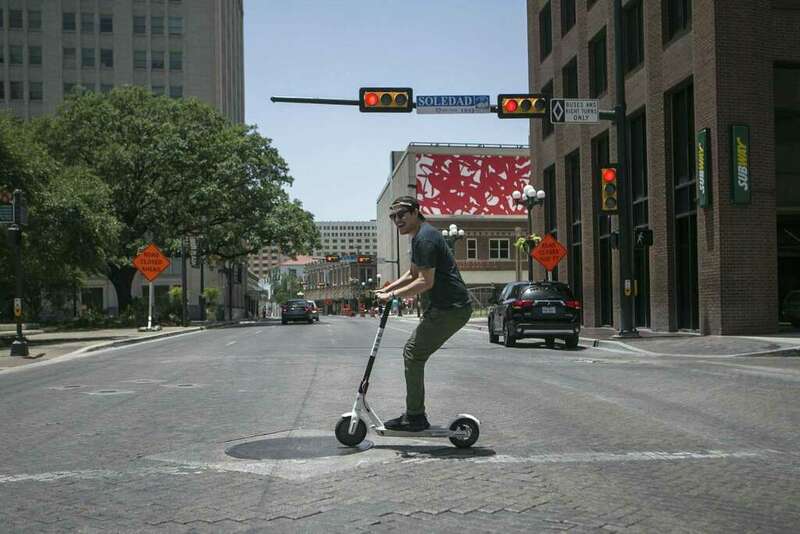 Already home to thousands of electric scooters, many of them crowding downtown sidewalks, the Central Texas city will be the first to experience a new generation of shareable electric scooters from an Oxnard, California-based company called Ojo Electric. Unlike well-known scooter companies such as Bird and Lime, Ojo’s models are bulkier and include a seat. Referred to as a “light electric vehicle,” the scooters can travel 50 miles on a single charge and have a top speed of 20 mph, in compliance with city regulations, the company said in a news release. The company says their vehicles are designed for bike lanes and streets. On its website, the company says that riders can sit or stand, as well as play music or listen to podcasts over the vehicle’s built-in Bluetooth speakers. Ojo says those speakers will also allow the company to communicate traffic, construction zone and speed reduction alerts to riders. The devices launch in Austin on Feb. 1 and cost $1.25 to start and 18 cents per minute of riding time. “You can go a little bit faster than the kick scooters that we see on the street,” Elliott McFadden, executive director of Bike Share of Austin, which is working closely with Ojo, told NBC affiliate KXAN, noting that the scooters allow riders to carry things in a basket on the back. Promising durability and regular checkups by company employees, Ojo is marketing itself as an alternative to companies such as Bird and Lime, which have been accused of placing unsafe vehicles on city streets, where they’re used by unsuspecting riders who are later injured. While many Austinites have embraced the electric-scooter phenomenon, especially during the hot summer months, social media is filled with examples of infuriated locals ranting about the number of devices crowding city streets and weaving through traffic. Basically, these are Vespas, not souped-up Razors. They might be fine for bike lanes, but if they were in Houston they’d be illegal on bike trails. As far as that goes, I’m honestly not sure if I’m relieved or a little insulted that none of these new companies promising mobility miracles have taken their chances in our fair city just yet. I suppose I’m glad to let other cities be the beta testers, but one way or another these things are going to get here, and they will be part of the transit landscape. Given the big Metro election this fall, I’d prefer we get some idea of how well they fit in and what we need to do to take optimal advantage of them before we plot that course. In the meantime, do let us know what you think of these things, Austin. Curbed and Culture Map have more. I’m kind of fascinated by this story about another ridesharing app/service. High-tech hitchhiking has arrived in Texas. Austin startup Hitch offers a ride-sharing service connecting people driving between Houston and Austin with people needing rides. 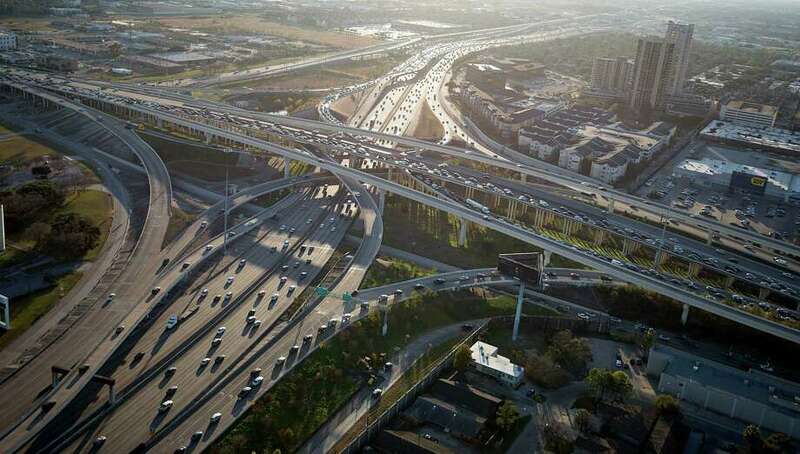 “Over 10,000 cars make trips every day just between Austin and Houston, and 90 percent of them have just one occupant — the driver,” CEO Kush Singh said in a news release. Here’s how it works: Someone with a 2003-or-newer vehicle who is planning to drive between Houston and Austin downloads the “Hitch – Regional Ridesharing” app and registers as a driver. After a background and driving record check, which can take up to 24 hours, the drivers are authorized to pick up passengers. Those needing a ride will enter a virtual queue and then proceed to a physical Hitch pickup location, which will be a public place like a coffee shop along the route. Riders are ID verified using scanned driver licenses and facial recognition, and they must have a valid credit card on file with Hitch. Drivers simply pull over at a Hitch pickup location and then collect the next person in line. They can pick up multiple riders — with each person allowed one typical-sized suitcase and a small personal item — and the middle seat is never occupied. The concept is simple enough, and I can see some appeal for both drivers and riders. I have no idea if there’s enough demand on either side of that equation to sustain this, but that’s not my problem. If you want to try this for yourself, be careful about how you search for it, as there are other apps called Hitch out there. I found this particular app in the Google Play store on my Android phone. It had a 2.6 average rating, with five one-star reviews out of eight total. Megabus tickets are pretty cheap, y’all. I’m just saying. A planned 110 miles of two-way HOV along major freeways with eight new park and ride stations is expected to cost $1.37 billion, with another $383 million in improvements to operate 25 percent more bus trips across the region. The projects promote new services within Metro’s core area and on the fringes of its sprawling 1,200-square-mile territory. Inside the Sam Houston Tollway where buses travel most major streets and are more commonly used by residents, officials want to increase how often those buses come. Outside the beltway where more than 2 million of Harris County’s residents live, park and ride lots will be expanded and commuter buses will go to more places more often. Big-ticket items in the plan are directed at faster commutes and more frequent service in transit-heavy parts of Metro’s area. As officials prepare for eight new or expanded park and ride lots and two-way service even farther out most freeways, 14 core local bus routes are primed for development into so-called BOOST corridors aimed at making bus trips along city streets faster by sequencing traffic lights to give approaching buses priority and increasing the frequency of buses. “From the outset, we are very pleased with where they are putting the investment,” said Oni Blair, executive director of LINK Houston, which advocates for equity in transportation planning. Still, Blair said the agency is hoping for more specifics on how Metro prioritizes projects, both in terms of funding and the timing with which initiatives are tackled. “People want to know what they are getting and when,” she said. Another aspect of the plan will be about getting to bus stops. Officials say they plan to coordinate with city planners and developers to make sure sidewalks lead to accessible and comfortable stops, something many riders say is transit’s biggest obstacle in Houston. 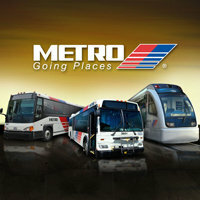 As a reminder, you can always go to MetroNext.org for information about the plan and public meetings to discuss it. In a better world, we’d be starting off with a transit system that already included a Universities light rail line, and would be seeking to build on that. In this world, we hope to build a BRT line that covers much of the same turf west of downtown, and turns north from its eastern end. Which will still be a fine addition and in conjunction with the Uptown BRT line will finally enable the main urban core job centers to be truly connected. The focus on sidewalks, which I’ve emphasized before, is very welcome. We need to get this approved by the voters, and we need to ensure we have a Mayor that won’t screw up what Metro is trying to do. I know we’re already obsessing about 2020 and the Presidential race – I’m guilty, too – but there’s important business to take care of in 2019 as well. Have you started avoiding the 59/610 interchange yet? I-69 at the 610 West Loop is a traffic hot spot in Houston. The two freeway segments that meet at the interchange top the list of the most congested in Texas, according to the Department of Transportation (TxDOT). Danny Perez, a spokesman for TxDOT, says a project the Department has already started is designed to eliminate a lot of the weaving motions that lead to crashes in the hot spot. They want to give drivers more time to make decisions before they have to merge. The project includes higher and wider ramps along with other improvements. Perez says the work could take up five to six years but they’re hoping to finish sooner. Emphasis mine. See here and here for the background. Note that this is happening as the construction of an elevated busway is already happening. A couple of weeks ago on The Good, The Bad, and The Ugly on Houston Matters, I opined that the end of the construction on 290 just meant that roadwork would shift elsewhere, as roadwork never truly ends but is conserved. It’s like one of the laws of the universe or something. If anyone who was listening to that thought I was joking, well, now you know. Godspeed to us all. The Metropolitan Transit Authority is expected to ask voters next fall for more than $3 billion in borrowing authority to implement its next wave of transit projects. The 20-year plan laid out by Metro officials includes roughly 20 more miles of light rail, 75 miles of bus rapid transit and 110 miles of two-way HOV lanes along area freeways. The plan, based on studies and public feedback, focuses on beefing up service in core areas where buses and trains already are drawing riders and connecting suburban residents and jobs in those areas. The overall price tag for the plan is $7.5 billion, more than half of which would be funded via state and federal transportation monies. Unlike previous Metro capital plans that spent roughly $1 billion in local money on the Red Line light rail, its northern extension and the Green and Purple lines, the current plan would spend more on buses — specifically bus rapid transit — along key routes where officials believe better service can connect to more places and, in turn, lure more riders. The estimated cost of about 75 miles of bus rapid transit is $3.15 billion. Officials believe BRT, as it is called, delivers the same benefits as rail, but at less cost with more flexibility, giving Metro the ability to alter service to meet demand. For riders, it would be a rail-like experience and different from buses that operate on set timelines. “If you can get a service people can bank on and count on, you don’t need a schedule,” Lambert said. BRT operates similar to light rail with major station stops along dedicated lanes used only by the buses, though they may share some streets with automobile traffic. The region’s first foray into bus rapid transit is under construction along Post Oak in the Uptown area. Service is scheduled to start in early- to mid-2020. A proposed fifth BRT is a revised version of the University Line light rail that Metro proposed and then shelved because of a lack of progress and intense opposition. The line, which some consider the most-needed major transit line in the region, would tie the University of Houston and Texas Southern University areas to downtown and then the Uptown area. Since becoming chair of Metro in 2016, [Carrin] Patman has said the downtown-to-Uptown connection is the missing link in major transit investment within Loop 610. However, she has stressed that light rail may not be the best mode. Though officials have pivoted from trains to buses with much of the plan, nearly $2.5 billion in new rail is being proposed, including the extension of both the Green Line along Harrisburg and the Purple Line in southeast Houston to Hobby Airport. The airport legs alone are estimated to cost close to $1.8 billion even though they are expected to draw fewer riders than any of the bus rapid transit routes. All the details, which as Metro Chair Patman notes can and will change as the community dialogue continues, can be found at MetroNext.org. A press release with a link to Patman’s “State of Metro” presentation last week is here. I will of course be keeping an eye on this, and I definitely plan to interview Patman about the referendum once we get a little farther into the year. And let’s be clear, even if I didn’t have other reasons to dislike Bill King, I don’t want him to ever have any power over Metro. If we want to have any shot at having decent transit in this city, he’s the last person we want as Mayor. Uber is about to jump into Dallas with a brand-new rent-a-ride for this market: rechargeable electric bikes. Jump, which Uber bought in April for $200 million, has filed an application with Dallas City Hall to bring 2,000 stationless e-bikes to town. The company is waiting for city staff to review and approve the permit, which would also include 2,000 Jump-branded electric scooters. 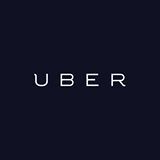 Chris Miller, Uber’s public policy manager for Texas, said the roll-out is expected early next year. “It just makes sense in a city with a large population, a desire for innovation — and a lot of ground to cover,” Miller said. City transportation officials have long expected the arrival of electric-pedal-assisted bikes, referring to them as a sort of sweet spot between the bikes that flooded the streets in the summer of 2017 and the seemingly ubiquitous electric scooters that have mostly replaced them in recent months. Riders still have to move their feet, but the motor does the hard work — and allows the bikes to hit speeds up to 20 mph. Uber’s Miller said Jump’s e-bikes are a “real commuter option” because they do so much of the hard work for the rider. In San Francisco, he said, riders pedal up to 2 miles on their Jump bikes; in Austin, where Jump made its debut in the summer, even farther. Uber hasn’t set prices for Dallas yet. But in Austin, the cost is $1 for the first 5 minutes and 15 cents for every additional minute. The e-bikes will arrive with scooters having supplanted the buck-an-hour bike as Dallas’ preferred mode of rented transportation. The city, once filled with 20,000 of the older bikes, now has just 1,000 — 500 from Lime, 500 from Garland-based VBikes. In a year that saw e-scooters take over the city – eventually multiplying to more than 8,000 vehicles – seated e-scooters have arrived, and about 2,000 dockless bicycles are set to enter the fray. Razor USA quietly recently rolled out new scooters with a cushioned seat and front-mounted basket. Meanwhile, Uber’s micro-mobility arm Jump is planning to launch 2,000 e-bikes this month, the City of San Antonio confirmed. On top of that, Jump is applying to bring 2,000 scooters to the city. Jacks added the new Razor scooter model provides an additional option for scooter-averse riders because it’s similar to a bike. “We’ll see if they prove to be more popular,” he said. If and when Jump launches in San Antonio, the City’s dockless vehicle fleet would eclipse Austin’s total. With e-scooter company Spin’s impending arrival, the total number of operators would climb to six – including Bird, Lime, Razor, and Blue Duck – and its total fleet would rise to about 12,600 vehicles, according to data provided by the City. Gotta figure these things will be coming to Houston sooner or later. I hope Dallas and San Antonio do us the favor of figuring out what the regulatory structure should look like for these things. They will add something beneficial, mostly in that they will help to keep people out of cars for short trips, but safety for riders and pedestrians needs to be a priority. Also, we should try to make sure that people don’t throw scooters into the bayou, because that would be bad. Anyway, we’ll see how this goes, and how long it takes to come to our streets. Would you ride on one of these things? Google offshoot Waymo announced it is launching the nation’s first commercial driverless taxi service in this and other Phoenix suburbs. The 24/7 service, dubbed Waymo One, will let customers summon self-driving minivans by a smartphone app, a la Uber or Lyft. Waymo’s move comes after nearly a decade of development, more than a billion dollars in investment and 10 million miles of testing on public roads. The project was embraced by top state and local officials even as questions have been raised here and elsewhere about the speed of the technology’s rollout. Waymo, part of Alphabet, is starting small, rolling out the service first to hundreds of the company’s local volunteer testers, and only in part of this sprawling region of almost 5 million people. But the move is a major – and potentially revealing – step in the tightly controlled and hype-filled realm of self-driving vehicles. Waymo will now be putting its technology through the public wringer, with cellphone-toting customers – freed from nondisclosure agreements – ready to capture and tweet every miscue, just as they might with a bad airline flight, Samaras said. There is significant public skepticism about self-driving cars, and polls find that most people don’t want to ride in them. Earlier this year, a driverless Uber SUV killed a pedestrian pushing a bike across a dark street in nearby Tempe. The emergency braking system had been shut off for driverless testing, and the backup driver did not start slowing down until after the vehicle struck Elaine Herzberg, 49. That safety driver had looked down more than 200 times and her smartphone was streaming NBC’s “The Voice” in the run-up to the deadly collision, according to investigators. We’ll see about that. I’m not ready to ride in one of those things on the real streets. A fixed-route shuttle in a low-traffic area, sure. Beyond that, I’ll let others do the beta testing. I’m not the only one who’s leery of this. How about you? TechCrunch has more. Are we ready for Texas Central? This is more about the experience than anything else. Texas Central said it will break ground late next year on the first bullet train line in the United States, which will connect Dallas to Houston, and the train, technology and much of the know-how is coming from Japan. “We will start the construction next year,” said Masaru Yosano, Chief General Manager of Central Japan Railway Company. Yosano flies to Texas once a month to help coordinate the project with partners at Texas Central Railway Company, the private firm that’s developing the United States’ first bullet train. The Texas bullet train, which will be privately funded, has already passed multiple milestones and is currently awaiting final approval from the Federal Railroad Administration. When that last permission is granted Texas Central said it will then begin looking for financial backers. The firm said it already has options to purchase a third of the land needed and is currently negotiating for the remainder. In Japan, the bullet train is not only a source of pride, but a fixture in the culture. So, what’s it like to be on board? Both the economy and First Class cars have high ceilings, wide aisles, and big seats. The cars are configured with two seats on each side of the aisle. Perhaps the biggest difference in the Central Japan Railway’s N700-series is the legroom in both cabins. Unlike an airliner, there’s plenty of extra space to move around. Onboard restrooms are substantially larger, as well, with a massive handicapped lavatory. And at 177-miles per hour, the landscape is less of a blur than many would imagine. A bottle of water easily balances on an arm rest. One reason the bullet train is so successful in Japan is that riders can easily connect to subways. But Dallas and Houston don’t have that same infrastructure. “What happens to that last mile is an opportunity for taxi companies, for Uber, for hotels to build and businesses within walking distance of the terminus to develop themselves,” Swinton said. The last mile can be lucrative. Not much was around when the Tokyo’s Shinagawa train station was built in the 1990s. But within a decade, skyscrapers had risen around it. Central Japan Railways also makes money leasing space at the station to restaurants, shops, and hotels. I believe I’ve mentioned before that I’ve had the opportunity to take the shinkansen in Japan. It’s really cool! It’s amazingly quiet, and a very smooth ride. There is a lot more room on the trains than on an airplane – not a high bar to clear, to be sure – and you basically walk onto the platform and board when the train arrives. If you’ve ever taken the light rail line in Houston or Dallas, it’s basically the same as that, which means boarding is quick and efficient and once everyone is on you can just go. There won’t be any security checkpoints like there are at airports. All this means that the total travel time won’t be much more than the actual time on the train. I do think people will like it. The question is getting them to try it, and pricing it in a way that makes it worth doing on a regular basis. The work is ending, the work continues. The end is near for construction that has clogged Post Oak and delayed drivers, but the buses at the center of the project will not start rolling for at least another year as officials grapple with roadblocks threatening to push the final route three years past its original completion date. Months of additional work lies ahead on the dedicated bus lanes in the middle of the street as crews complete the stations that will connect passengers to the rapid transit line. Though once on target to ferry passengers this holiday season, workers still are installing electrical and fiber optics systems so the buses can operate, as they pour the last segments of concrete along the widened roads from Loop 610 south to Richmond. As a result the buses, which officials at one point had hoped would ferry visitors for the 2017 Super Bowl, will not carry passengers until 2020. Even when Metropolitan Transit Authority begins operating the buses along dedicated lanes in the center of the street, riders and operators face months, perhaps years of detours at both ends of the project as two Texas Department of Transportation projects take shape. “It will operate. It just may not be the guideways we want eventually,” Metro board member Sanjay Ramabhadran said. As Post Oak proceeds, TxDOT is building an elevated busway along Loop 610 so the large vehicles will move from their Post Oak lanes to an overpass that takes them directly to the transit center. Construction, estimated to cost $57.2 million, started earlier this year. Completion is set for late summer 2020, meaning a few months of the large buses slogging north to the transit center. On the southern side of the bus project, another challenge looms. A massive rebuild of the Loop 610 interchange with Interstate 69, already a year into construction, will worsen as the project moves toward its 2023 completion. Of particular concern is the timing of work south of Richmond, where Post Oak morphs into the southbound Loop 610 frontage road and goes under I-69 before re-emerging at Westpark Drive. Referred to by transportation officials as the “portal” along with the underpass that carries northbound frontage traffic beneath the interchange, it is the critical link for Post Oak buses headed to the new Bellaire transit center. We were promised that the service would begin in 2019, but between politics and Harvey and whatever else, that’s the way it goes. Solving the problem of extending this to its intended endpoints at Northwest Transit Center and the to-be-built transit center in Bellaire, that’s the big challenge. Among other things, right now this is the main connection to the rest of the city from the Texas Central terminal. This thing is a big deal, and we’re going to need it to be done right. There’s more to talk about now. After gathering input over the past year on how to expand public transportation in the region, METRO says it will soon hold another series of meetings to see what people think of their draft Regional Transit Plan. METRO Chairman Carrin Patman said they’re also expecting feedback from a new group of Harris County decision-makers. As the population grows, METRO says it needs to find better ways to move people to the region’s many employment centers. In the past, most people commuted into downtown Houston. But now, commuters are headed to places like the Med Center, the Energy Corridor, and The Woodlands. Patman said they also want to tackle mobility challenges within the City of Houston, like providing better connections between downtown and the Galleria. See here and here for some background, and here for the project webpage. Changes to Commissioners Court as well as changes in Congress may allow for a more expansive definition of what is possible with this. The end result of the meetings and the engagement will be a referendum we vote on in 2019. Go and have your say so what we vote on later is what you were hoping for. Last spring, METRO announced a plan to run an autonomous bus along TSU’s Tiger Walk, a shared-use path that cuts across the campus. Now, the transit agency said it will start a pilot program in January. METRO CEO Tom Lambert said they’re curious to see how autonomous vehicles function on a small scale, as they look for new ways to move commuters through the growing region. He added that a college campus is a good testing ground. In the second phase of the pilot, Lambert said they hope to run the bus on nearby Cleburne Street to see how it interacts with vehicular traffic. See here for the background. Running this thing off campus once it has proven itself on campus is a logical thing to do, but I for one would want to make sure it is tested very thoroughly before I unleashed it in a less-controlled environment. That said, I do hope that the long range transit plan takes into account the potential future location of similar shuttles, to better extend the reach of the regular system. I may have to plan a little trip to TSU during the pilot phase to see how this goes.